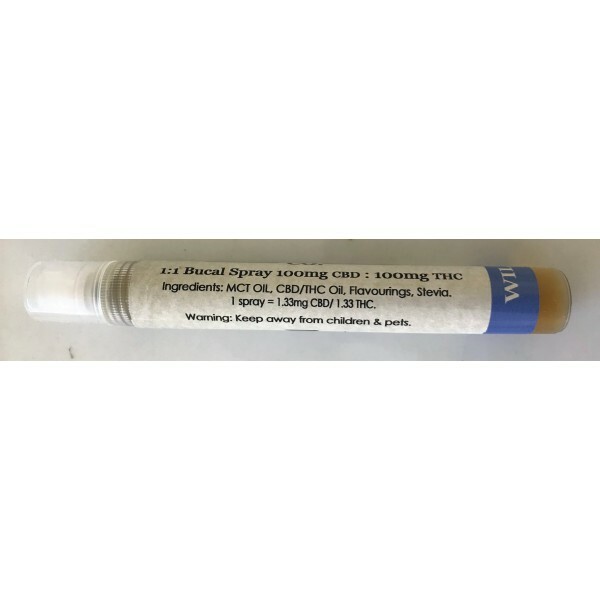 1:1 Wild-Berry Mist Tincture THC:CBD 10ml 1:1 Ratio (100mg THC/100mg CBD) 1 spray = .33mg CBD and .33mg THC Wild-Berry Flavour Fast-acting alternative for discrete use. Effective relief from all forms of general inflammatory and neuropathic pain. Reduces stress and pain while promoting relaxation. Controlled dosing. A good mix. Review by John E.